For the 1975 Syrian drama film, see Kafr kasem. Monument in Kafr Qasim to the victims of the massacre in 1956. Kafr Qasim (Arabic: كفر قاسم‎, Hebrew: כַּפְר קָאסִם), also known as Kafr Qassem, Kufur Kassem, Kfar Kassem and Kafar Kassem, is a hill-top city with an Israeli Arab population. It is located about 20 km (12 mi) east of Tel Aviv, on the Israeli side of the Green Line separating Israel and the West Bank, in the southern portion of the "Little Triangle" of Arab-Israeli towns and villages. In 2017 its population was 22,743. The town was the site of the Kafr Qasim massacre, in which the Israel Border Police killed 49 civilians on October 29, 1956. On February 12, 2008, Israeli Minister of the Interior Meir Sheetrit declared Kafr Qasim a city in a ceremony held at the town. The town's area was populated in ancient times, based on remains from the Middle Paleolithic period found in the Qesem Cave. Cisterns, a winepress and terraced fields have also been documented, together with remains from the Byzantine era. In 1838, it was noted as a Muslim village, Kefr Kasim, in Jurat Merda, south of Nablus. Charles van de Velde visited the site in 1851–52, noting "the many ancient stones used in the construction of the present houses and many other remains indicating an ancient site." In 1870, during the Ottoman period, French explorer Victor Guérin visited the village, which he called Kafr Kasim. He found the place to be "the site of a more ancient town, as is shown by cisterns and the mass of rubbish found outside the present village". The village had about four hundred inhabitants. In 1882, the Palestine Exploration Fund's Survey of Western Palestine described the village as being of moderate size, with buildings constructed principally of adobe, on low hill in open ground. The survey also noted the existence of a rock-cut tomb to the south of the village. In 1917, during World War I, Kafr Qasim (together with the rest of the area) was captured from the ruling Ottoman Empire by the British Army and was later placed under the British Mandate of Palestine. 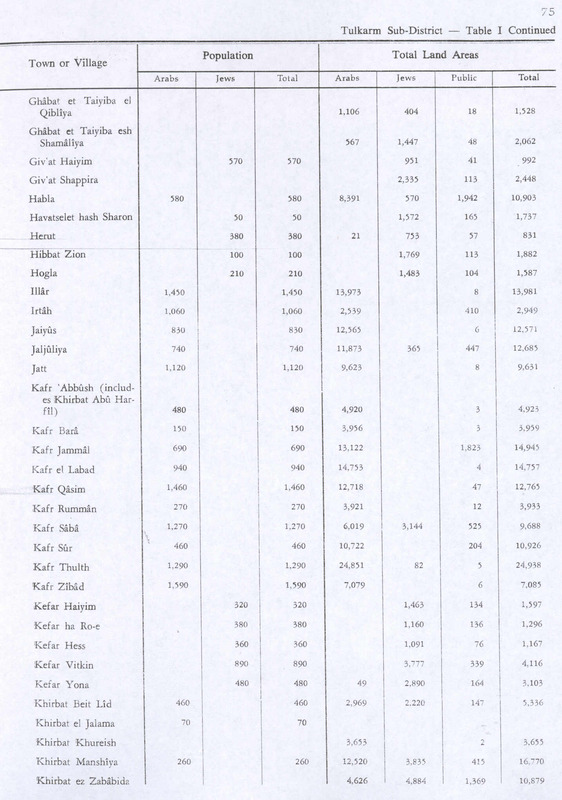 In the 1922 census of Palestine Kufr Quasem had a population of 661, all Muslims, increasing in the 1931 census to 989, still all Muslims, in a total of 241 houses. In 1945 the population of Kafr Qasim was 1,460, all Muslims, who owned 12,765 dunams of land according to an official land and population survey. 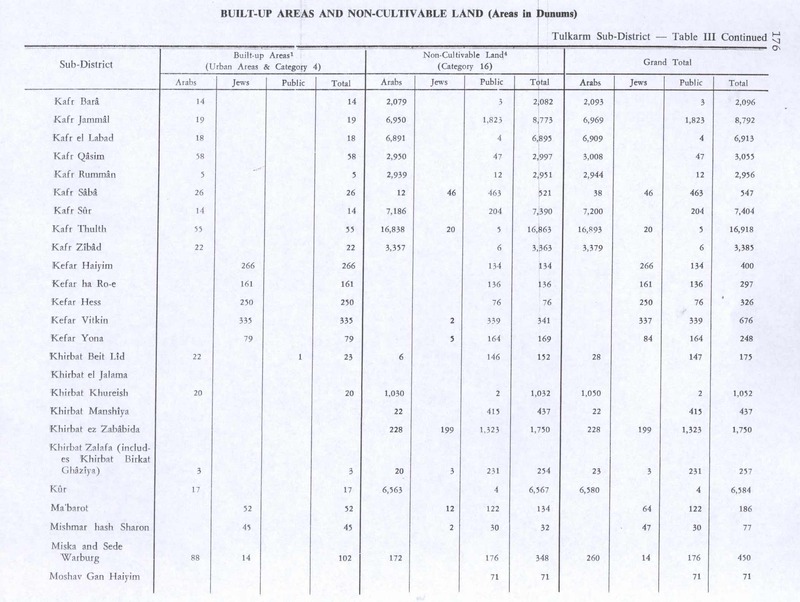 239 dunams were for citrus and bananas, 491 were plantations and irrigable land, and 8,980 were planted with cereals, while 58 dunams were built-up (urban) land. Israeli military advances came to a halt at Kafir Kasim during the 1948 Arab-Israeli War. In 1949, Israel annexed the town in accordance with the armistice agreements, which ended the war. On October 29, 1956, on the eve of the joint Israeli, French and British invasion of Egypt, Israel moved up the time of the local curfew as it was concerned that nearby Jordan would enter the fighting. After the curfew ended, a platoon of Israeli border police (MAGAV) who had been sent to the area encountered and killed 49 villagers returning to Kafr Qasim from their work in the fields. Though the village head had been informed a half an hour before the military curfew started, he informed the Israeli commander that the fellahin and shepherds could not be notified in time that the curfew had been imposed. The incident became known as the Kafr Qasim massacre. In December 2007, President of Israel Shimon Peres formally apologised for the massacre. 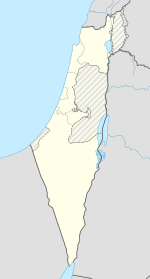 In 1959, the town was granted local council status by the Israeli Interior Ministry. In recent years, the town became known as the place where Sheikh Abdullah Nimar Darwish started the Islamic Movement. Israeli parliamentarian Sheikh Ibrahim Sarsur, a native of Kafr Qasim, served for a decade on the town council and heads the southern faction of the Islamic Movement of Israel since 1999. In 2008, it was announced that Kafr Qasim could soon become a city. According to the Israel Central Bureau of Statistics, the town had 21,100 mostly Muslim inhabitants at the end of 2012. There are 936 females for every 1,000 males. The population increases at an annual rate of 2.7%. The social-economic rank of the town is relatively low (3 out of 10). Only 50.2% of 12th graders were eligible for graduation (Bagrut) certificates in 2000. The average monthly wage in 2000 was 3,633 NIS, as opposed to the national average of 6,835 NIS at that time. F.C. Kafr Qasim plays in the Liga Alef South division. Following their promotion to Liga Alef, they play home matches at the Lod Municipal Stadium in Lod. Served as the primary filming location for the Israeli political thriller television series Fauda. ^ Baruch Kimmerling,The Palestinian People:A History, Harvard University Press 2009 p.195. 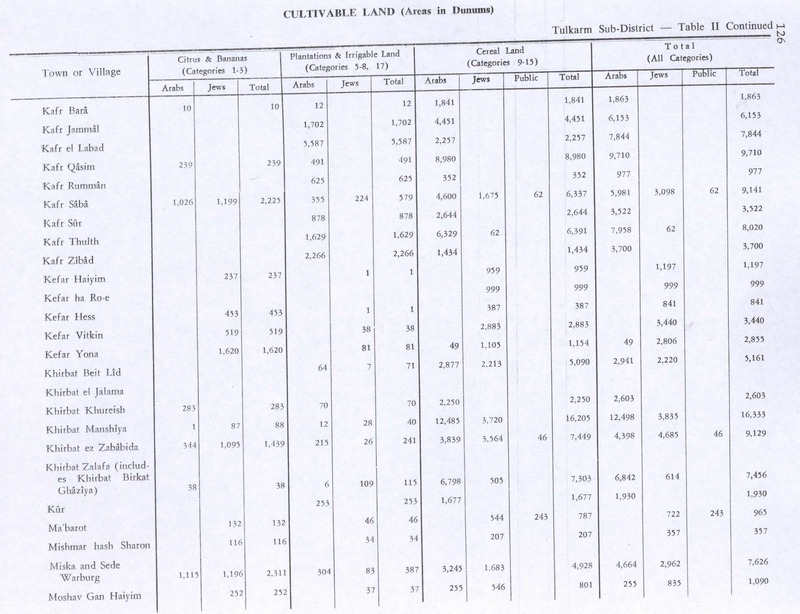 ^ "Table 3 - Population of Localities Numbering Above 1,000 Residents and Other Rural Population". Israel Central Bureau of Statistics. 2008-06-30. Retrieved 2014-04-12. Khalaily, Hamudi (2005-10-02). "Kafr Qasim, (East)" (117). Hadashot Arkheologiyot – Excavations and Surveys in Israel. Tendler, Avrohom S. (2015-04-14). "Kafr Qasim, (East)" (127). Hadashot Arkheologiyot – Excavations and Surveys in Israel. Velde, van de, C. W. M. (1858). Memoir to Accompany the Map of the Holy Land. Gotha: Justus Perthes. Zbenovich, Vladimir; Barda, Leticia; Haiman, Mordechai (2005-03-10). "Kafr Qasim, Development Survey" (117). Hadashot Arkheologiyot – Excavations and Surveys in Israel. This page was last edited on 18 March 2019, at 18:35 (UTC).